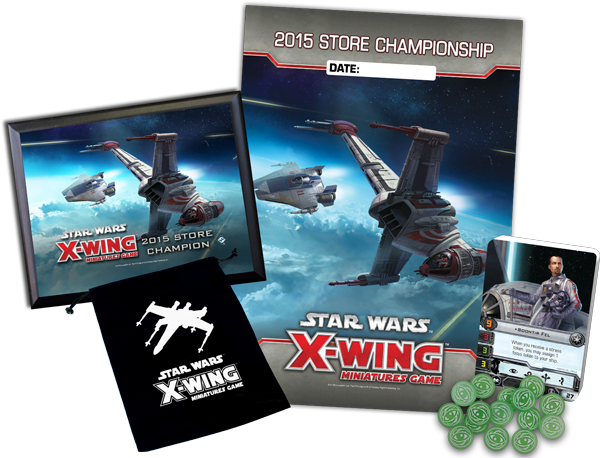 The Relentless Dragon is proud to be hosting a 2015 X-Wing Store Championship event. 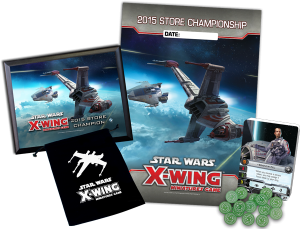 Join us on Saturday February 21st to see if you can be crowned the X-Wing Champion for the Relentless Dragon. Players who win a Store Championship event receive an invite to a Regional Championship, which in turn feeds into the National Championship. Points: 100pts, Squadron List Required, No Proxies (including Ships, Pilots, and Upgrades). Registration: In store on the day of the tournament and a signup sheet will be available beforehand in the store. Players are expected to bring with them all materials they will need for battle, including squadron, dice, maneuver dials, maneuver templates, asteroids, tokens and damage card deck. Players may not bring more than one copy of each asteroid. Damage card decks must be complete, and may be inspected by tournament organizers to ensure completeness. Relentless Dragon is not to be expected to provide any game materials for this event. All players must have a written squadron list, including all ships, pilots, and upgrades. Please either bring the list with you, or arrive early enough to fill one out here before the event begins.